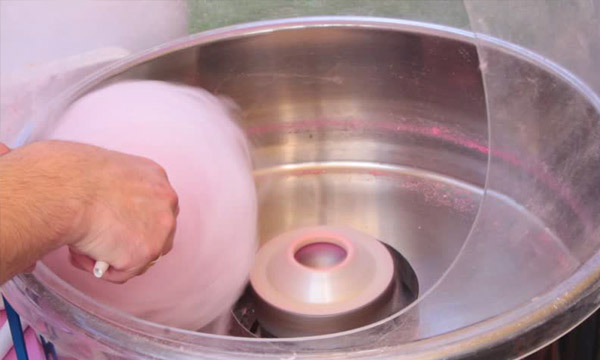 Have you ever wondered how to make cotton candy? 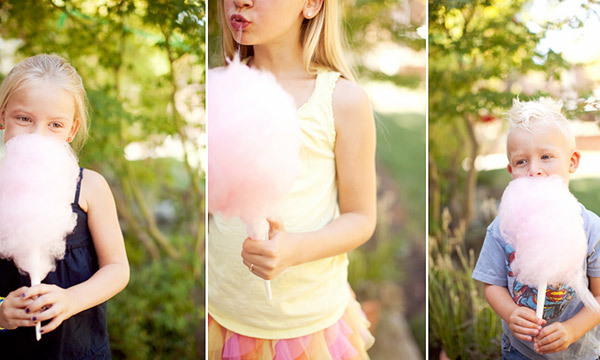 Fortunately for all of us, there are few things easier and more fun than making cotton candy. If you have just treated yourself to one of these timeless and versatile fun making machines, you are in for not just a sugary treat but for some fantastic time with family and friends. This activity will guarantee 100% group participation. To start, have the machines manual handy. Each machine operates slightly different but ultimately, it boils down to three simple steps. 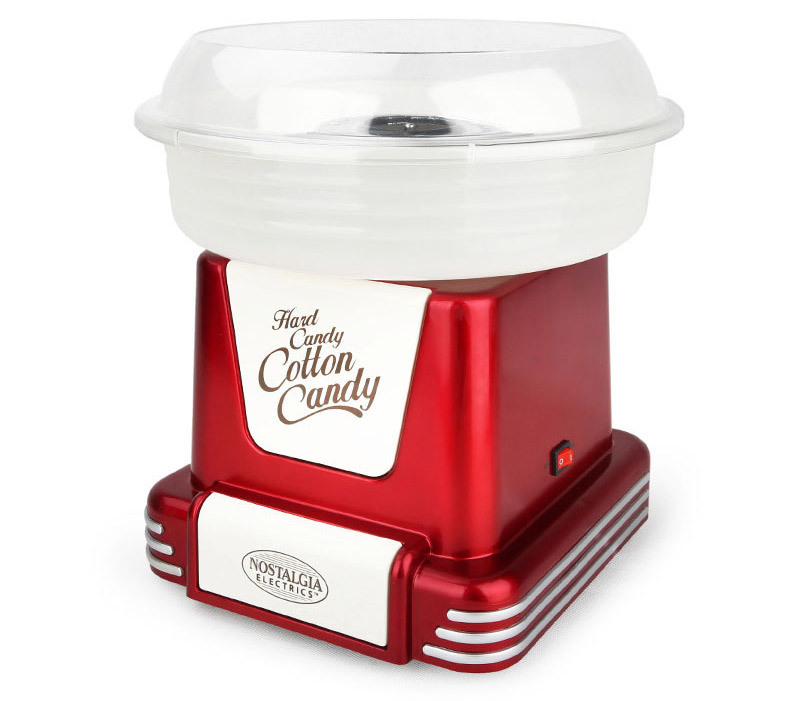 Plug your cotton candy machine in to a power source and switch the machine on. After referring to your user manual, allow you machine to heat up for the recommended time until it is hot enough to start spinning you very own cotton candy. 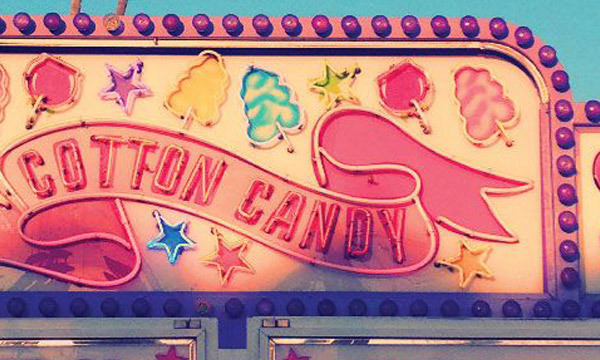 Wait for your machine to start spinning wispy sweet strands of cotton candy for you to collect on a cone. If perfection is what you’re going for you may want to practice a few times. As your technique improves you will get beautiful, fluffy hand fulls of your favorite flavor of cotton candy. There are a few tips that make spinning candy onto a cone just that much easier. 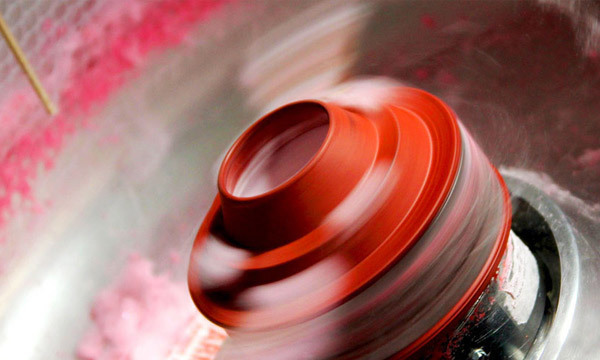 The first is to keep rotating the cone so that the candy floss is smoothly spread and distributed. The obvious goal is to collect it evenly to create a traditional cotton candy ball, just like the ones we remember as kids when visiting carnivals and fairs. The second is to keep the spun sugar that collects on the outside of the bowl as far away as possible from the heated center element. This makes the candy gathering much easier. Once the spun cotton candy sticks to the center element, the sugar begins to burn and this will make collecting new spun sugar difficult. If the element becomes sugared up, it is best to clean it before continuing as newly spun sugar will easily catch and stick to it, frustrating your efforts. Lastly we hope you enjoy bringing carnival fun right into your own home. From our cotton candy making experience, you will find great enjoyment from sharing this nostalgic treat with young and old alike.